Courts doesn’t have a traditional real estate background, nor was launching a real estate tech startup on his mind growing up. In fact, after graduating high school he started a skateboard company but switched gears in 2010 by starting a daily blog to help renters find rooms and apartments because he wasn’t pleased with the then current real estate solutions, and aspired to “do something different.” Shortly thereafter, Courts’ blog transformed into Nooklyn; this transition was kick-started by the brand’s first product, Rooms & Mates, which is currently Brooklyn’s leading roommate finder. Nooklyn’s traction and growth didn’t fly under the radar for long, and has since attracted the attention of venture capitalists, which led to a successful close to their seed round on January 15th, 2018. Nooklyn raised $825K in seed funding, led by Patoma Inc., to refine their software for an even easier and safer user experience. Additionally, the investment will allow Nooklyn to expand their in-house team in their data and design departments as they eye Manhattan for their next expansion destination. 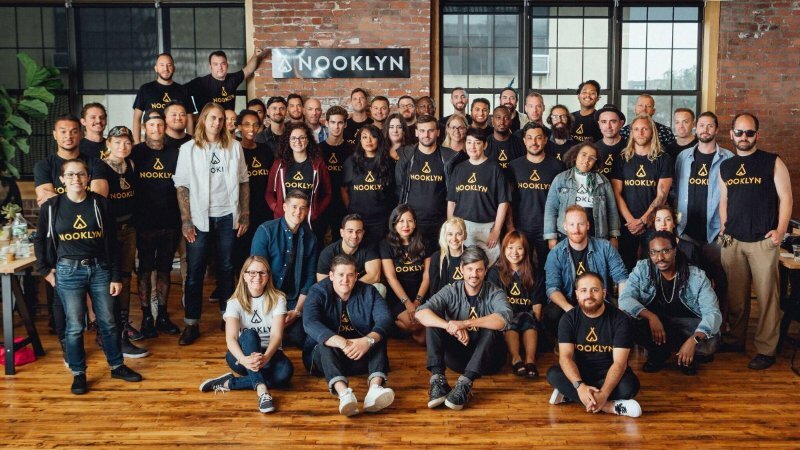 Prior to closing their seed round, Nooklyn had been bootstrapped for the past five years. Undoubtedly, the recent investment will allow Nooklyn to scale at a faster rate, although their traction to date is nothing to sneeze at. Nooklyn’s traction is pretty impressive, as highlighted by their sales metrics. To date, Nooklyn has received 25K renter applications which resulted in 10K signed leases. Additionally, Nooklyn has processed roughly $40M in rental payments and boasts 49K active monthly users. The Nooklyn team hopes to build upon their current traction by using their recent investment to grow and expand. The startup has no intention of slowing down anytime soon, as demonstrated by their hiring cycle; Nooklyn is currently recruiting real estate agents, office managers, front/back end developers, android engineers, marketing specialists and financial officers. The global real estate tech space is booming, the sector raised $4.2B in venture capital in 2016, and sector funding swelled to $12.6B just a year later. Recent exits include Booj, a Colorado real estate solutions development company, who was acquired by Re/Max in late February 2018. The recent sector growth and current exits bode well for Nooklyn’s future should they be able to maintain their current momentum. We at PNG Venture look forward to watching Nooklyn closely throughout their growth phase; they are backed by prominent investors and have a strong management team, this is certainly a startup that should be on your radar in 2018.